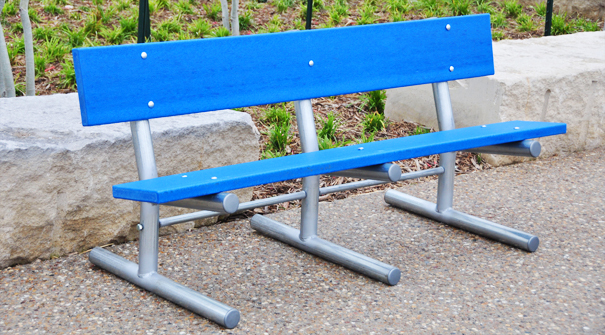 Available in portable, in-ground or surface mount, the Madison Park bench is perfect for parks, trails, and almost any outdoor area. The recycled plastic planks are available in the resinwood color options shown and the industrial grade aluminum bases have a natural silver gray color. Heavy duty, zinc coated hardware standard.